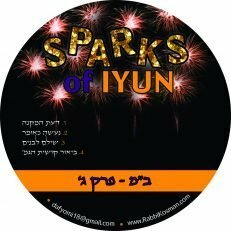 Each CD contains 3-4 sparks of Iyun, between 10-20 minutes long. Each Spark can be listened to independantly of the other. Want a fiery taste of Iyun? This just might be the recipe to fire up your day.